YY SG 4/9. 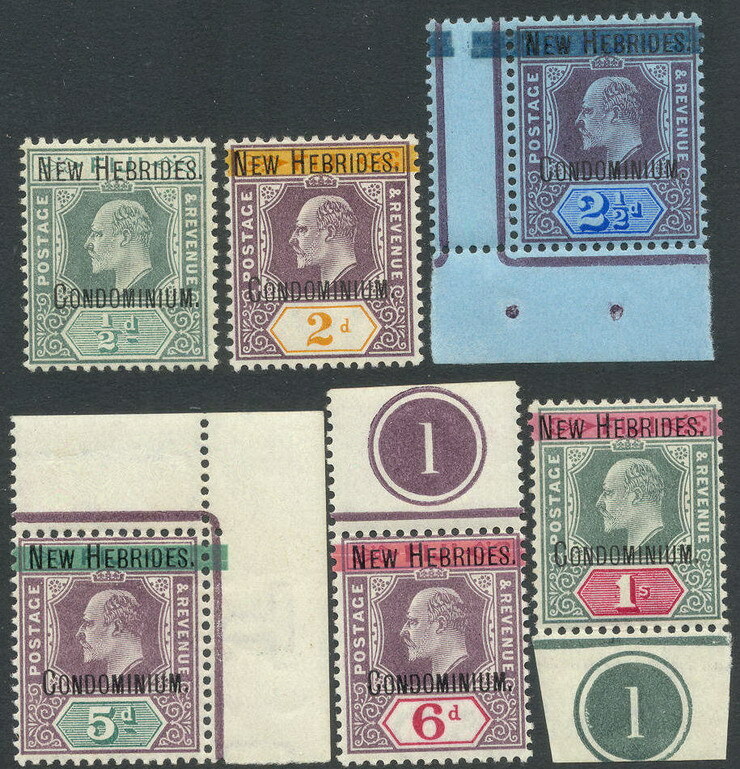 1/2 d to 1 s Surcharges 1908 - wmk Crown CA. (£ 200).